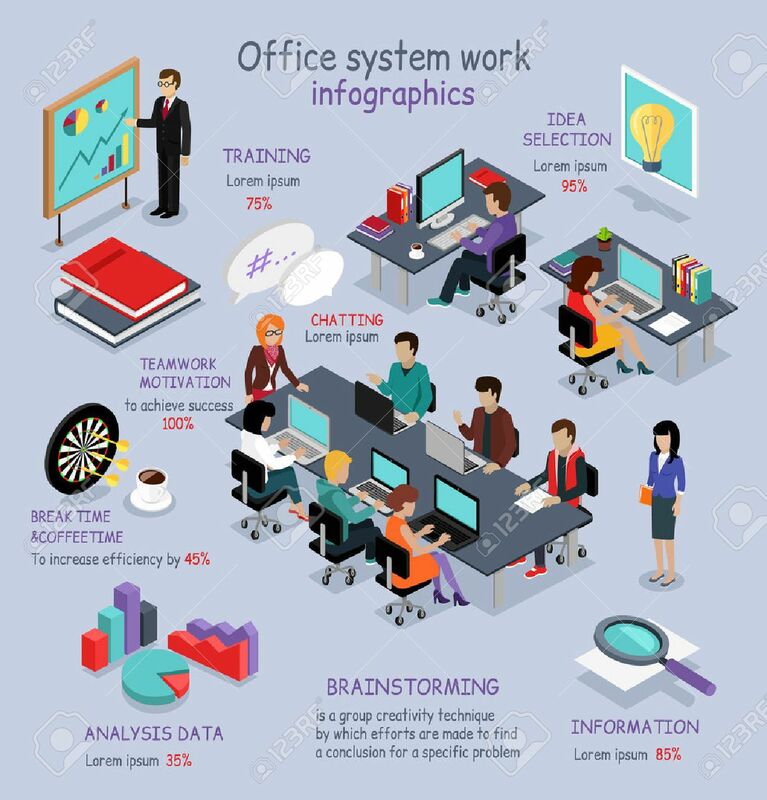 Isometric Office System Work Infographic. 3D Office Interior, Office Desk, Business And Office People, Office Room, Analysis Data, Brainstorming Teamwork And Training, 3D Selection Idea, Break Time Royalty Free Kliparty, Vektory A Ilustrace. Image 51810369.